The College is a member of the Catholic Educational Association of the Philippines (CEAP) and several professional organizations, such as: the Philippine Association of Graduate Education (PAGE), the Philippine Association of Collegiate Schools of Business (PACSB), the Center for Educational Measurement (CEM), Private Schools National Association of Non-Formal Education (PRISNANFE) , and others. 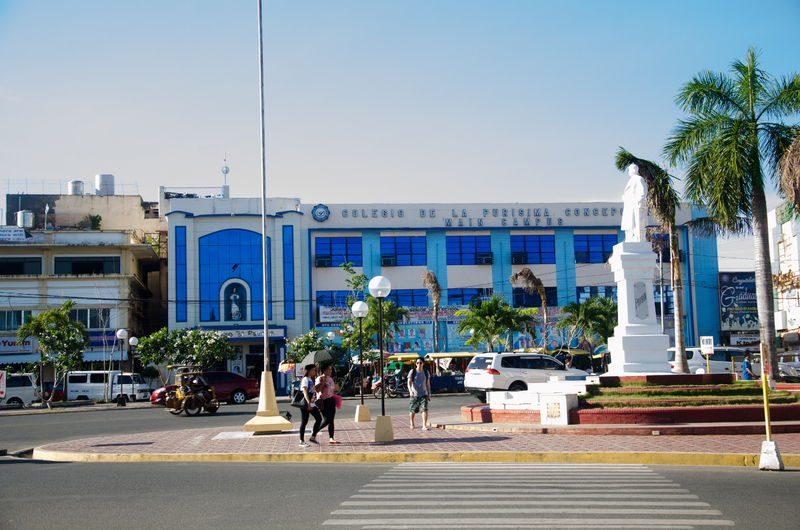 Many of Colegio de la Purisima Concepcion’s graduates are successful educatiors, businessmen, office workers, certified public accountants, engineers, physicians and lawyers. Some have become priests. The late Jaime L. Cardinal Sin, the former Archbishop of Manila, was an Education graduate ofCPC. Two other bishops, Most Rev. Vicente M. Navarra, D.D., former Auxiliary Bishop of Capiz, and later the first Bishop of the Diocese of Kabankalan, and Most Rev. Dunualdo D. Gutierrez, D.D., Bishop of Marbel, are alumni of the School of Education. The late Atty. Eugene Tan was an outstanding alumnus of the College. The Bellosillos: Adolfo, a world reknowned Cardiologist, and Josue, a Supreme Court Justice, are both products of CPC High School. In the May 2001 elections, two CPC alumni were elected to Congress: Atty. Rodriguez D. Dadivas in the 1st District of Capiz, and Atty. Fredenil Castro in the 2nd District of Capiz. Religion is the core of all courses. The College centers on the theme of Christian Formation being an integral part of man, as it seeks to instill moral values through academic offerings, liturgical services, and the extension of privileges to deserving and capable students. CPC is an extension of a Catholic home, and the Catholic Church. It trains students to assume religious, civic, and social responsibilities. By exposing them to the discipline of arts, mathematics and science, and by cultivating their abilities and talents, CPC fulfills its continuing mission to the religious, civic, intellectual and moral life of the students. In this process, it integrates Catholic education with academic competence for needed leadership in national development. Apart from the Main Campus in Arsobispo St., beside the Roxas City Cathedral, CPC also has a U-shaped building at Arnaldo Boulevard, which houses the Colleges of Marine Education, Engineering and Technology, as well as the IT Department of the College of Business and Management. A separate 2-storey building in the Boulevard Campus houses the pre-school and elementary departments.